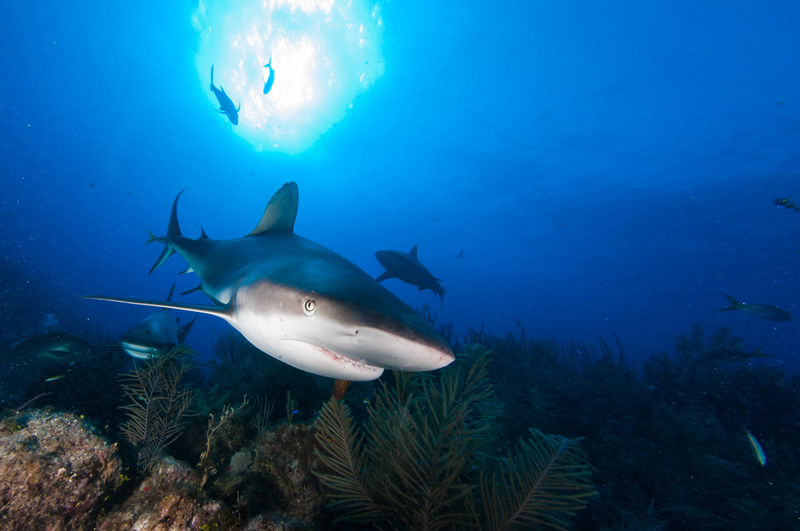 Officials in the Dominican Republic are working with Global FinPrint researchers to guide their conservation efforts in the wake of a national ban on shark and ray fishing. Global FinPrint is a three-year survey of reef sharks and rays throughout the world and is led by researchers at FIU in collaboration with Australia’s James Cook University, Curtin University and the Australian Institute of Marine Science. FIU scientists have become increasingly concerned about sharks and rays around the Caribbean island as recent data shows populations of threatened and endangered species occupy its waters. The resolution recently issued by the Dominican Republic’s Ministry of Environment and Natural Resources permanently bans fishing and trading of all species of sharks and rays. It also declares a moratorium on fishing of herbivorous fish including parrotfish and surgeons for two years, and sea urchins for five years in all the country’s jurisdictional waters. The ban also prohibits the trade of derivative products, both imported and exported. “The long-term ban provides precautionary protection and will give our agency time to enact better sustainability regulations for vulnerable species and establish more accurate fishing protocols for fisheries,” said Francisco Domínguez Brito, environment minister of the Dominican Republic. “Data provided by Global FinPrint will be used to monitor shark and ray activity and help guide to make future decisions based on scientific data,” he said. One year ago, FIU post-doctoral scientist Mark Bond gave a presentation on shark conservation at a workshop in the Dominican Republic for the Convention on International Trade in Endangered Species, highlighting the benefits of Global FinPrint. It was there he was first approached by officials from the Ministry of Environment and Natural Resources who believed their shark populations were being overfished. Working with FIU scientists, local officials are collecting data to assess species distribution and abundance around the island nation. The FinPrint scientists use baited remote underwater video (BRUV) surveillance to monitor species abundance and distribution, hoping to fill critical data gaps and guide conservation strategies throughout the world. Global FinPrint has received core funding from philanthropist Paul G. Allen and is one of several initiatives within the Microsoft co-founder’s portfolio of ocean health programs. Rubén Torres, a marine scientist in the Dominican Republic who has advised local officials about the urgent need to ban shark fishing said Global FinPrint will provide much-needed data to support the new regulation, a regulation he said will be imprinted in environmental history of the developing island nation.